Patong Beach is one of Phuket’s busiest beaches. A perfect People watching paradise. Some even find it’s the most beautiful beach in Thailand, that, of course, is a matter of opinion. Patong’s lively beach is home to numerous activities during the day. Patong Beach is around the west coast of Thailand and is the island’s main tourist centre. It became popular with western tourists in the late 1980’s, and many hotels have been built in Patong since then. 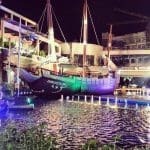 The former fishing village of Patong has evolved over the years to become Phuket’s most famous and popular seaside resort. 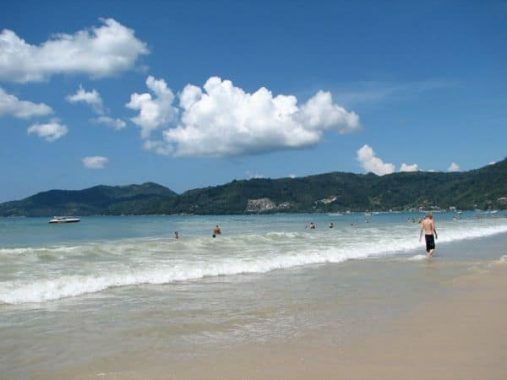 Patong beach has a beautiful 3 km long crescent sand beach that is lined with palm trees. It is a combination of a beautiful, beautiful white beach and the beautiful Andaman sea that make Patong beach a picture. Patong beach has a lovely beach where plenty of beach activities take place throughout the day. A wide and relatively safe Beach where you can sunbathe, swim and try to relax all day long. Around you are many commercial activities, Jet Ski’s, Paragliding and Banana Boat rides. Beach vendors abound trying to sell you all sorts of things and all this surrounded by what waving palm trees are left and the sea which is normally reasonably clear with a wonderful water temperature. At the centre of the beach, you will find Bangla Road which at night turns into a Walking Street. Plenty Going on here and full of clubs and bars where you can have a drink and where it is very loud in the evening. Tourists party at Patong Beach. Young people often choose a party vacation or youth holiday to Patong Beach. Tourists will normally stay here for some days and visit the clubs and pubs to party and have some fun out on the beach, perhaps moving on to somewhere quieter after or before arriving here. 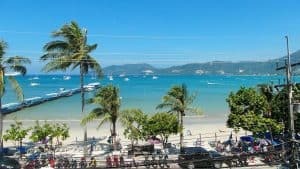 In short, Patong Beach on Phuket Island should not be missed during your vacation to Thailand either as a short stay or longer or just as a day/night trip. Patong Beach has a lot to offer regarding activities and excursions. You can take a lot of (water) activities. We put some activities for you here, but do take care, do some research and if the RED flags are flying STAY OUT OF THE WATER. Dinner in one of the premium restaurants overlooking Patong. Kathu Waterfall a short taxi drive. Climb and zip line through the jungle. In addition to resorts and hotels, there are also many restaurants, bars, and shops on the seafront beach road. If you want to go for a walk or enjoy the beautiful sunset, then you can certainly enjoy this busy street. 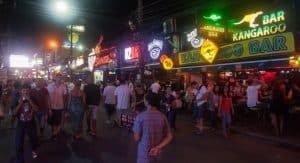 Bangla Road is the entertainment street of Patong Beach. Here you will find some clubs, pubs, nightclubs, and bars in a row. This street is normally very busy, visited by young and old who come to the party and other tourists who want a drink and dance. Travel tip. 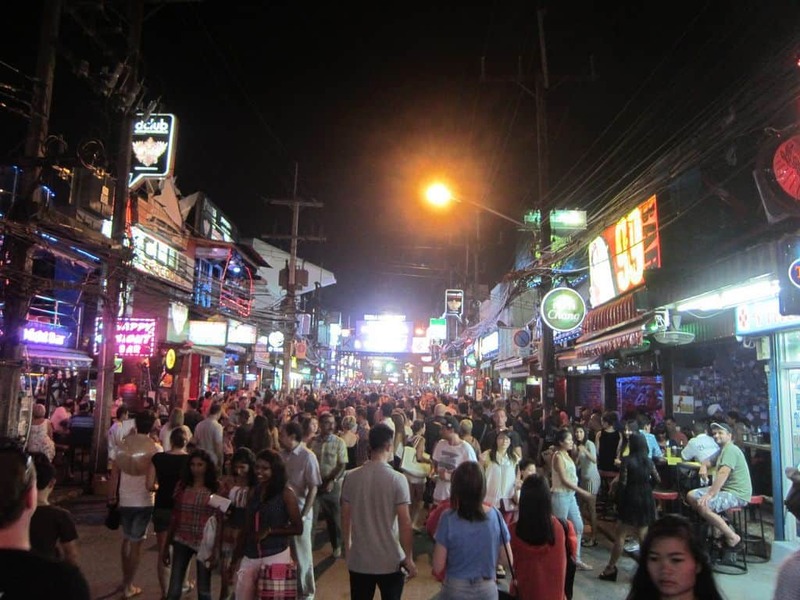 In advance, Bangla Road is sometimes misused by tourists. Do not trust all dancing boys and girls or their beautiful Asian eyes. Numerous hotels and resorts are located on the beach of Patong Beach. You will find sleeping accommodation in all price categories. Patong has Luxury, expensive resorts of all conveniences, but in Patong, it is possible to find budget accommodation. You should make sure you book your hotel in advance. Certainly, during high season, it can be very busy here and on the beach, leaving many rooms already full. Keep this in mind when planning your vacation at Patong Beach. Freedom Beach is one of Phuket’s most beautiful beaches. South of Patong Beach is the peaceful Freedom Beach. This is a great beach in Phuket with incredibly soft white sand and dazzling clear blue waters. Freedom Beach is only accessible by a longtail boat. The shortest route is from the southern end of Patong Beach. You can also ask for a boat trip from Kata, Karon or even Kamala Beach. The weather on Patong Beach is tropical. The weather is characterized by a rainy season and a dry season. During the rainy season, a lot of rain falls in a short period. This rainy season takes place between May and October. The temperatures are delightful throughout the year. On average it’s about 31 ° C.
Patong has a lot of shopping and shopping facilities. Due to the presence of many tourist facilities, Patong is alive and somewhat animated centre of Phuket. It has many amenities in the area of shopping and entertainment centres and offers a wide variety of sports facilities such as golf, tennis and many water sports activities. Nightlife in Patong with its many pubs, disco karaoke bars, and gogo bars is famous. Whether you come alone or with the whole family, Patong has something for everyone.